Faber. Three locations. One company. Faber maintains three sites in Germany. The corporate headquarter is located in Saarbrücken. This is where the history of our company began in 1950, and we are still coordinating our business relations with clients all over the world from here to this day. The Saarland is not the largest German region, but the most European one by virtue of its history and geographic location. Internationality is a lived reality for us and forms our society. We are exporting over a quarter of our products abroad, after all. Saarbrücken is where we pool all our central functions such as the management, sales and marketing, purchasing and logistics, engineering and IT, personnel management, accountancy and controlling, as well as our reel management. Around 100 employees are working for you at our head office. 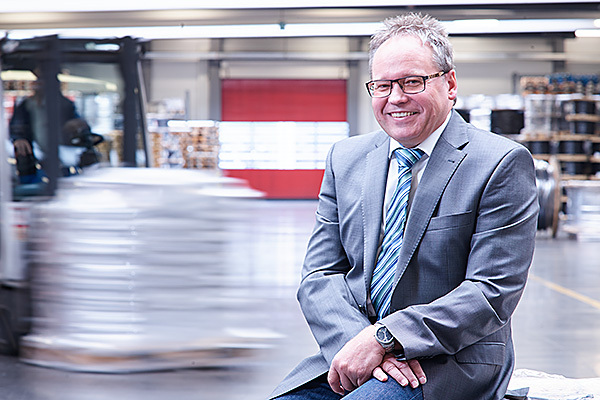 Our logistics centres are situated at the most important transport hubs of northern and southern Germany to ensure that we can offer fast delivery to our clients, and the best possible transport access to our partners. They are the cornerstones of our company, and each logistics facility keeps our entire range in stock. Even if we are separated in space – we form a powerful unit with our two logistics centres, and have been working hand in hand trustingly for many years, also across this distance. 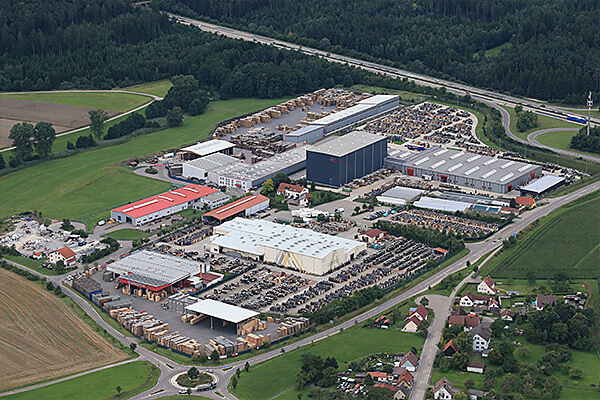 Our logistics centre in Fichtenau is directly accessible from the A7 by way of the Fichtenau/Dinkelsbühl exit. 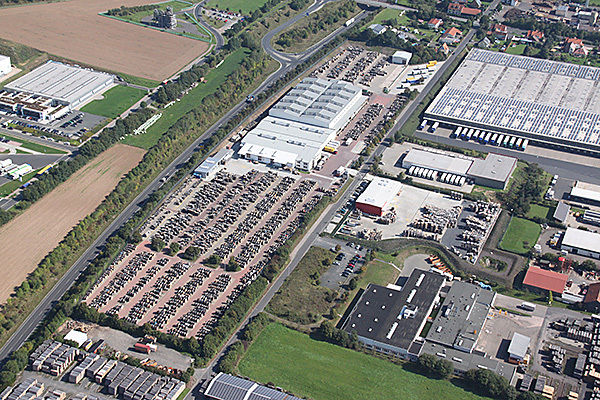 This is the location of our distribution centre for southern Germany and the European market. We are keeping our extensive product portfolio in stock for our customers in an automated high-bay warehouse in a 14,500 m² hall on a 76,000 m² property with 17,300 spaces – always available and ready for delivery. With the help of our customized IT solutions, our 60 employees at the centre ensure that your orders are cut to length, packaged and brought on their way in time. Our centre manager Walter Kaspar and his team vouch for that. Our Hedemünden logistics centre is also at the A7, but further north. Here, our product range is stored in a 72,000 m² property, 10,800 m² hall and 14,200 parking spaces. 60 employees ensure that your products are cut and consigned so that they reach their destination punctually and safely. Our three locations are not only networked with the latest IT, but also optimally on a personal level. There is a constant exchange in all the departments and at all the locations where the harmonization and optimization of processes is concerned, for example. Always with the objective of offering our customers the best service.